I'm now listed on the BlogFlux Directory, Chef's Blogs, and Technorati...you can link to them at the bottom of the archive panel on the right. You'll see that Technorati also sponsors a new feature on my blog: a search bar! So if you remember that great chicken 'n dumplings recipe and want to take a look at it, just run a search. You can also click to see what other blogs link to me. 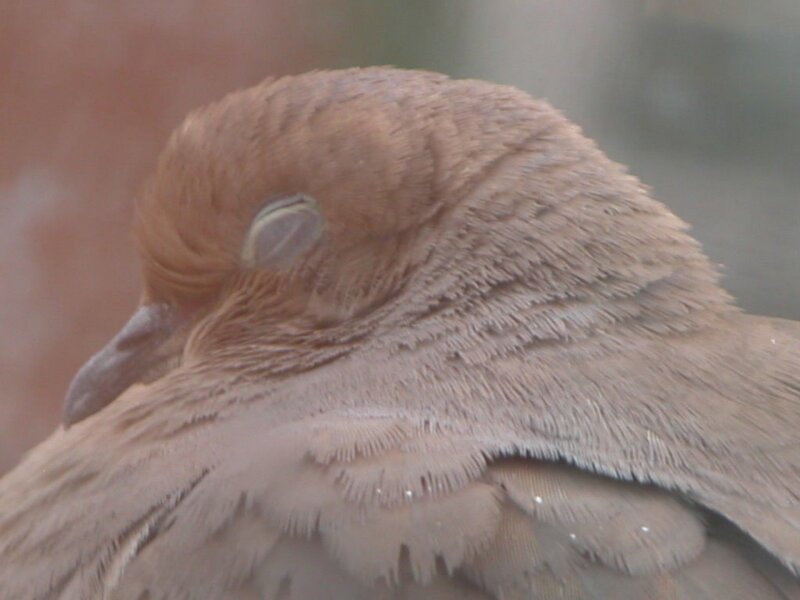 And a picture of one of my mourning doves on my fire escape, just for good measure. They've started roosting here sometimes. Kate! I just found your blog (yay for skimming Facebook while avoiding honors project), and it makes me so incredibly happy. Between the photos and directions that even I, incompetent as I am, can probably follow, I basically want to make everything you have recipes for. The rest of my semester will be spent in the kitchen, I swear. man, i need to get more tech-savvy. i am stil having probs with technorati. don't even mention del.ici.ous! Have had computer probs but have a new computer so maybe I can catch your blog from time to time, the recipes are awesome. Glad you are having fun in NY must get there someday?